Hamill, Mark – The original Luke Skywalker says that he has been approached about appearing in the next Star Wars film, but that nothing is official. While there is no script yet, Skywalker is expected to complain that Endor doesn’t have a Bob Evans, and that Ewoks now aren’t as respectful as they were back in his day. May not be historically accurate. Lincoln – Among other Oscar contenders, Spielberg’s epic biopic has been taken to task for historical inaccuracies, calling into question just how factual such movies should be. 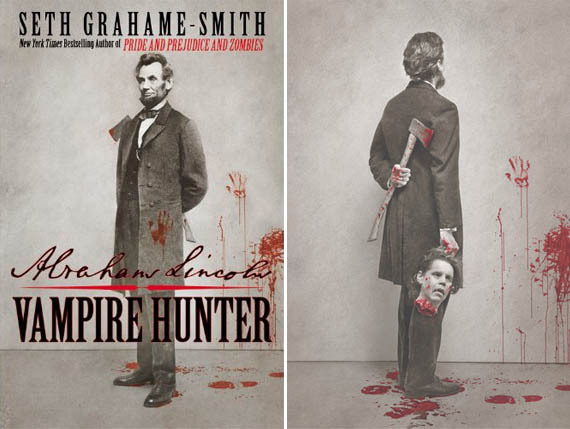 It should be noted that no historical accounts include Abraham Lincoln fighting vampires. Oscars, Tweeting The – Huffington Post asks if live-tweeting the Acadamy Awards is becoming better “viewing” than the show itself. If you prefer not watching an unending, incestuous, self-aggrandizing ego-fest, then yes! Swift, Taylor – The pop-country singer has been sued for failing to return a $2.5 million up-front payment for a cancelled hoe-down show in Canada. URGENT NOTE TO CANADA: do not sue her. She will win. You do not realize the true power of Taylor Swift. Vlahos, Petro – The news stories say that “the man who made Mary Poppins possible,” special-effects innovator Vlahos, has died. We say that the man who made Mary Poppins possible was obviously a wizard, and can never die.